I have too much basil. I planted 3 plants this spring and now they are the size of a small hedge. More basil than I could possibly use before the first frost, which should be any day now seeing as it is mid October. Normally I turn basil into pesto and use it to make this Creamy Pesto Veggie Dip, but this year I decided to drink my basil instead. 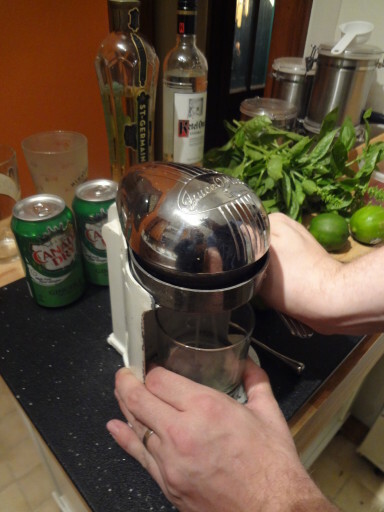 Since I am complete rubbish at mixing drinks, I enlisted Ryan for this task. He has perfected the recipe over the summer. The key was St. Germain. 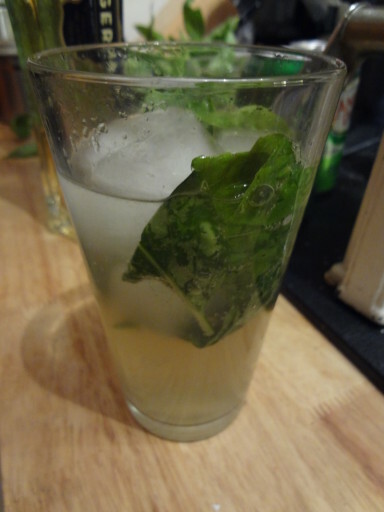 I bought a bottle in an effort to replicate a drink I had a restaurant this fall with cilantro and jalapeno. 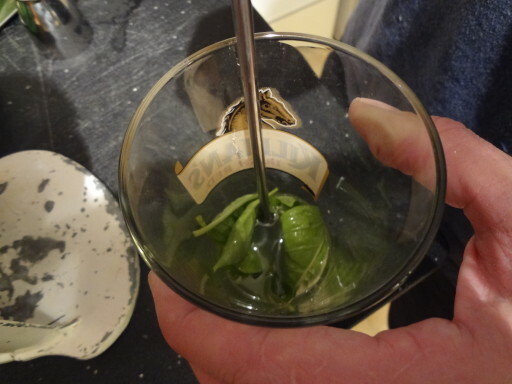 My concoction was pretty much undrinkable, but when Ryan decided to give the St. Germain a go in his basil drink, well, it was delicious. 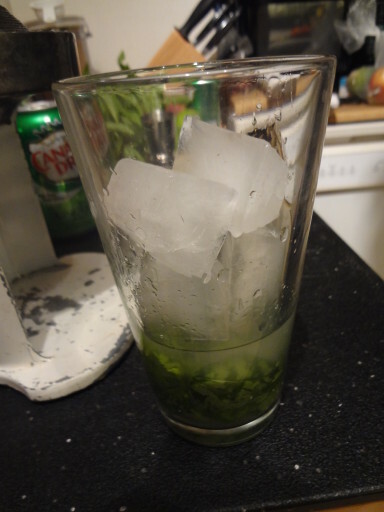 The cocktail vaguely resembles a mojito, only with basil instead of mint and vodka instead of rum, so nothing like a mojito at all. When I asked him what he called it so I could title this post, he couldn’t come up with a name, so if you have a good idea, drop a note in the comments below. I’ll have Ryan pick the winner. 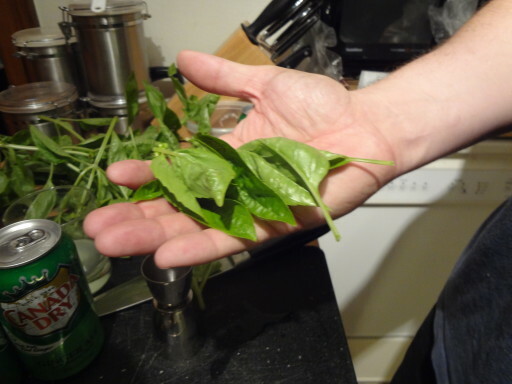 Start by gathering the ingredients. 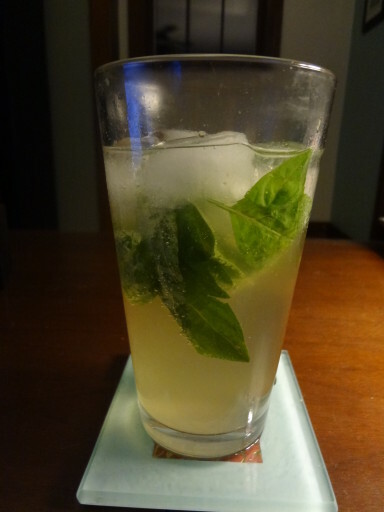 Vodka, St. Germain, basil, lime, ginger ale, and ice. Next, juice the limes. One drink takes the juice of half a lime, so you’ll have to have two drinks. 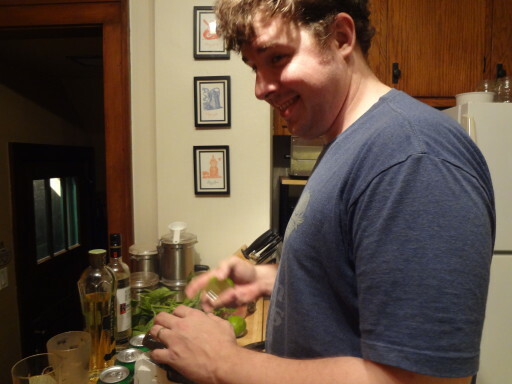 Can’t let the lime juice go to waste, now can we? 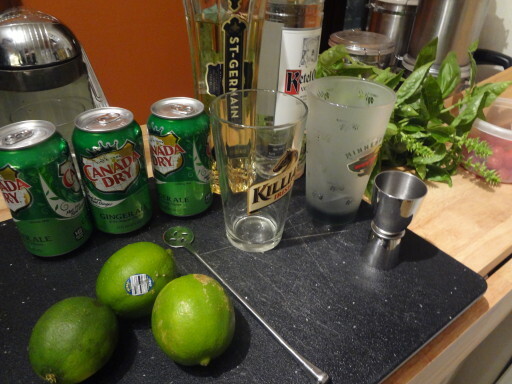 Now add the lime juice, 1 once vodka and 1 once St. Germain to a pint glass. Why is this picture happening? 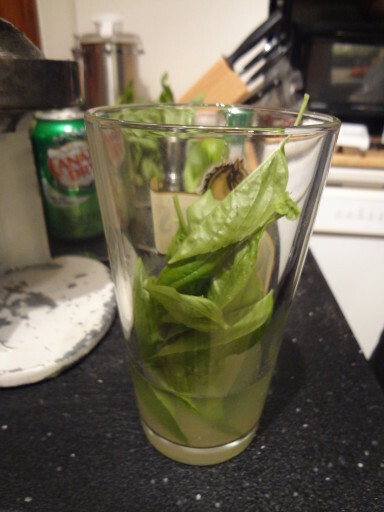 Then take a small handful of fresh basil leaves, place them in the glass, then muddle them with the liquor. If you want to spice it up a bit, you can also add a slice of jalapeno. Now add 5 ice cubes and enough ginger ale to fill the glass. Be sure to stir it before you drink it. Ryan says 5 ice cubes, no more, no less. 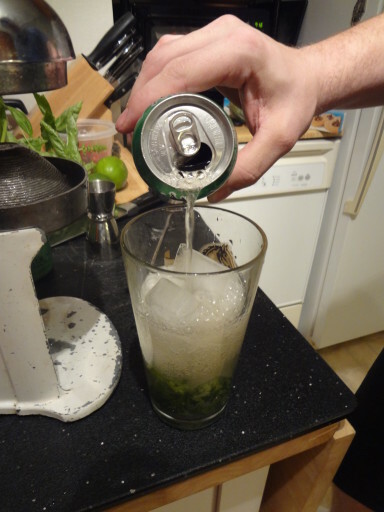 Like a mojito, only nothing like a mojito. 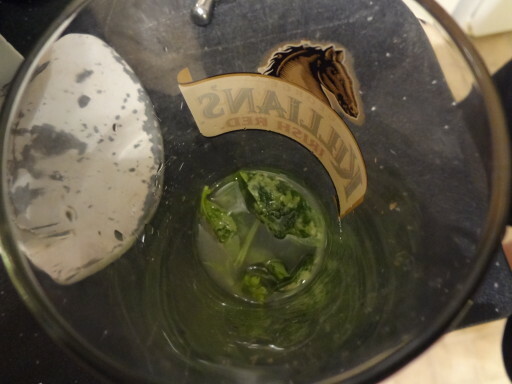 Muddle lime juice, vodka, St. Germain, basil, and jalapeno (if using) in the bottom of a pint glass. Add ice and ginger ale. 2 Responses to "Ryan’s No Name Basil Vodka Cocktail"
Ryan says, and I quote, “That’s dumb. Tell her that’s dumb. From me.” But since yours is the only suggestion, and I have very few readers, you could very well win!